On Tuesday, August 7, 2018, PT. Krakatau Nippon Steel Sumikin (KNSS) opening their new plant in Cilegon that focused on Galvanizing, Annealing and Processing Line (GAPL). The new plant took up an investment of up to USD 300 million and claimed to be able to absorb 280 labors. 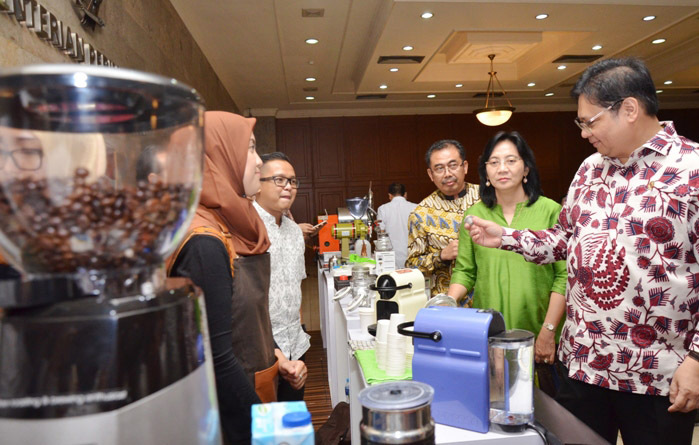 In the event, the General Director of Metal, Machine, Transportation and Electronics (ILMATE) Industry from the Ministry of Industry, Harjanto represented on behalf of the Minister of Industry. Harjanto said that steel products widely used in the automotive sector, such as Hot Rolled Steel Coil (HRC), Cold Rolled Steel Coil (CRC), and Galvanized Steel. For this reason, the operation of PT. KNSS new plant will support the production of CRC and Galvanized Steel for as much as 480,000 tons per year, and is expected to continue to reduce imported products. He added, the Ministry of Industry has formulated a strategic program and policy to improve competitiveness in domestic steel industry. Some efforts are including the implementation of industry 4.0 in order to increase efficiency and productivity. This step is also the key to boost competitiveness of value-added and high-tech downstream industries in the global world. Furthermore, government also tries to provide a link and match education and training with today's industrial world. 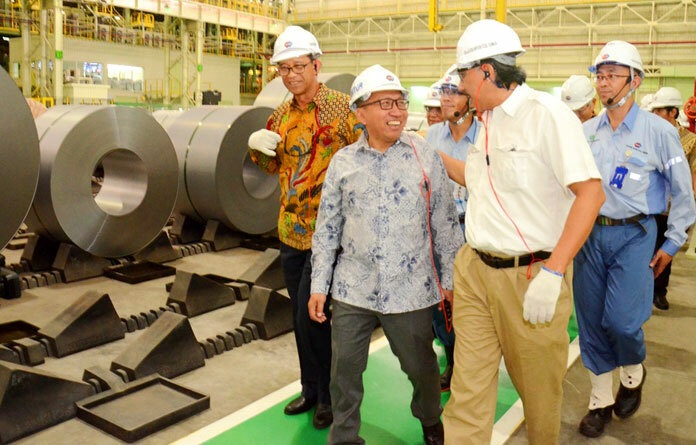 "We also apply local content requirements in infrastructure projects and develop Indonesian National Standards (SNI) for steel products," said Harjanto. At the moment, there are 28 compulsory SNIs for steel products to improve quality and safety in the domestic steel industry. 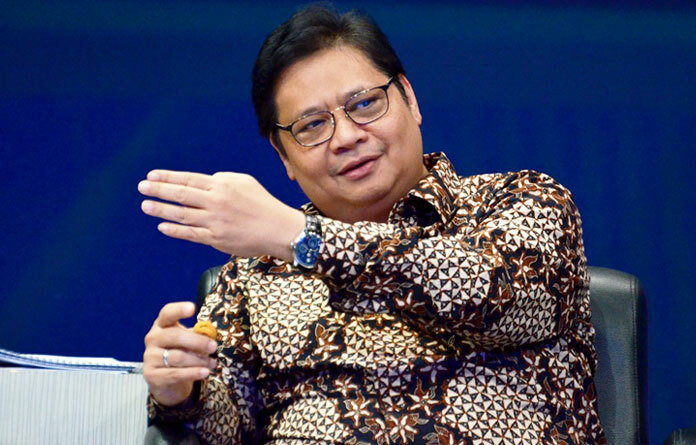 Director of KNSS Djoko Muljono said, as a leading producer of automotive steel in Indonesia and supported by professional human resources, KNSS is committed to support the advancement of steel industry in Indonesia. KNSS is also optimistic that the products will be accepted by the domestic and foreign markets. 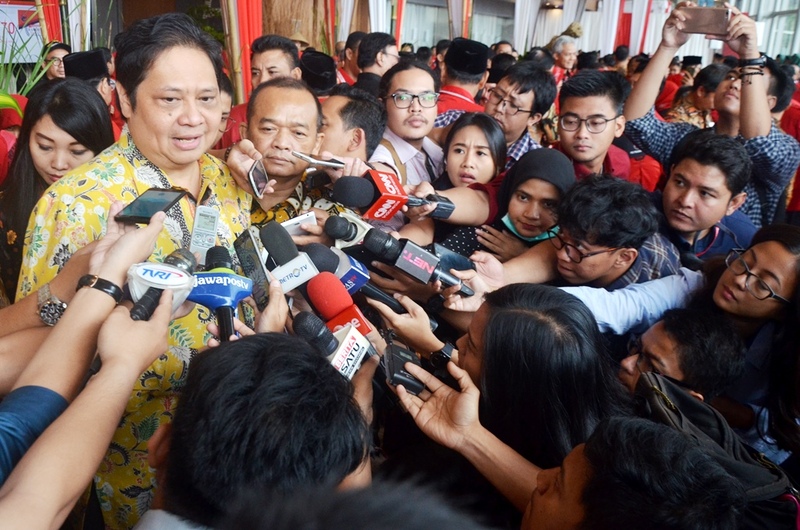 Previously, the Minister of Industry Airlangga Hartarto said that the government was determined to protect the domestic steel industry market from the invasion of imported products along with the increasing production capacity at the global level. For this reason, it is necessary to synchronize policies that stand beside the national steel industry since the domestic market is still prospective in the future. The Ministry of Industry also encourages the acceleration of the steel industry cluster development, for example in Cilegon. The new plant is targeted to produce up to 10 million tons of steel by 2025. In addition, the steel industry cluster in Batulicin, South Kalimantan and Morowali, Central Sulawesi. Topla Abadi Jaya is company which produce plastics parts and forming parts. Topla Abadi Jaya is company with japanese management and technology. Manufacture of Silicon Wafers for Electronic Components. Panca Budi sell thousands of different types and sizes of plastic bag products are ready to be distributed daily to all corners of the archipelago and foreign countries. PT Kalimantan STeel is manufacturer steel, sheet and coil company. it is located at central Jakarta. PT Toarco Jaya is operating Pedamaran Coffee Plantation which is located in Toraja, the central mountain region in the southern part of Sulawesi, Indonesia.